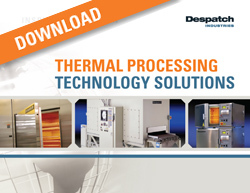 TAF and TFF walk-in/truck-in furnaces are ideal for large batch processing that requires high temperatures. 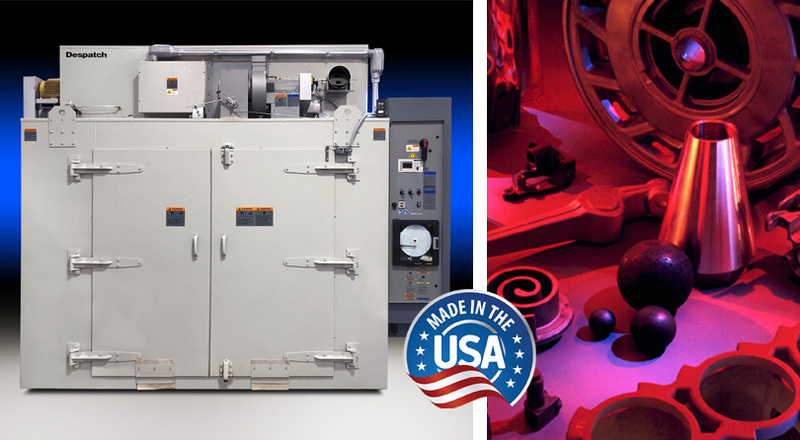 Common applications for these versatile furnaces including: aging, bonding, curing, drying, finish baking, heat treating and stress-relieving. Horizontal, recirculating air flow creates precise, consistent temperature uniformity throughout the furnace. High temperature applications that include flammable solvents or large amounts of moisture removal are best suited for TFF model furnaces. TFF Class A furnaces are specifically designed to meet NFPA 86 requirements and include a pressure relief panel, purge timer and exhaust fan. TAF and TFF furnaces offer standard temperatures up to 537℃ (1000℉) and are equipped with the Protocol 3™ control system. All models are fully assembled and factory tested prior to shipment. These high performance furnaces also feature stainless steel interior, end-of-cycle and high-limit indicators. The Despatch TAF and TFF Walk-In /Truck-In Furnace features a sturdy, welded, double-wall construction, seven inches of glass fiber insulation, and heavy-duty high temperature door gaskets. Stainless steel interior minimizes corrosion problems and provides long life.